View the entire table of contents for the April 30, 2008 issue. Altesino has long been one of Montalcino's top producers. Founded in 1972, it is part of a small group of estates that helped bring Brunello to new levels of quality and prominence in the 1970s and '80s. 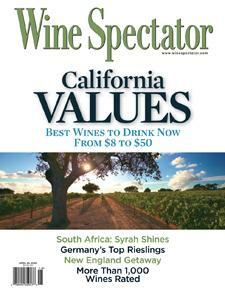 For the full article, check out the new issue of Wine Spectator, on newsstands March 12, 2008.